River Valley White is a Natural material. 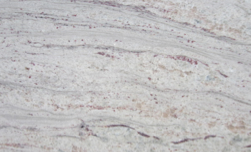 River Valley White is a Medium priced Granite stone. River Valley White is a very stunning looking material with white, green, grey and a number of other different colours running through it. As its name states its part of an old river bed and you can see this with the pattern of the flow of the river within the material. It will look the part in any traditional or modern kitchen. This material will be a good choice all round. River Valley White is a Natural Granite from India, Landford Stone offer this type of stone in a variety of thicknesses and finishes. River Valley White is a Medium priced stone and will look incredible in your home!